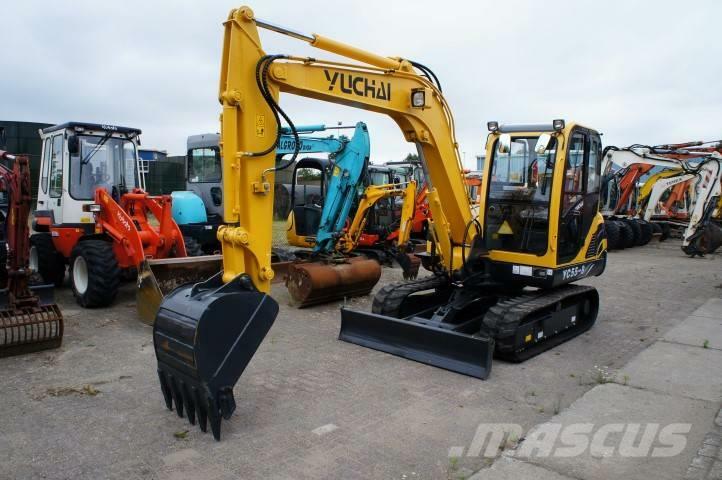 Extra information YUCHAI YC 55-8 midi excavator, NEW, original colour, aircondittioning, weight about 5710 kilograms, hydr. function, dozerblad,1 bucket, Yanmar 4 cyl. diesel engine.